We use a holistic approach in providing a curriculum that fits into the requests of your child. This style of learning, ‘emergent curriculum’ is based on the current interest and development stages of your child. We utilise the environment, people, places and surrounding resource for continued learning. We compile children’s individual profiles where we document our children’s learning journey. We base our learning stories on our early childhood curriculum Te Whariki, where their learning is woven though their daily interactions within their learning community. We support healthy eating and healthy food choices from their lunch box for morning tea, lunch and afternoon tea. Please ensure your child has enough food for the day. We will provide opportunities for food preparation (baking and cooking), which encourages children to experiment with food – taste, textures, cooked, uncooked, etc – helping children to gain an understanding of what it means to take care of their bodies. We have two mat times during the day. These mat times are focused around the interests of the children, extending their knowledge and understanding; this can lead us to many interesting and varied topics. These mat times aim to be fun, interesting and interactive for the children while they learn across the curriculum. 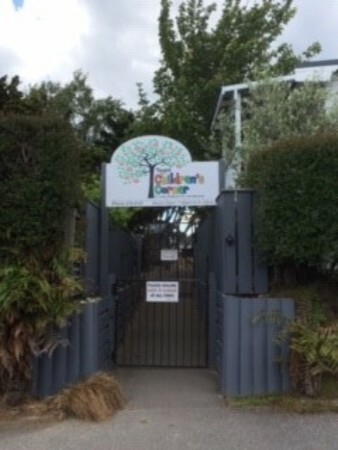 At Taupo Children’s Corner, we recognise that primary school learning environments are different to early childhood settings. Our aim is to bridge this gap between the two and to prepare your child emotionally, socially, cognitively, and physically for school. We encourage self help skills, independence, responsibility, confidence, language skills, concentration span, numeracy and literacy skills, respect for teachers, self, peers and equipment. We follow the children’s interests and extend on them through on-going projects of discovery and exploration of the world around them with input from families and the wider community. Encouraging children to be independent and gain self-help skills such as by hanging up their bags, taking out their lunch boxes, being responsible for their clothing etc. Increasing independence and decision making. Active exploration in all areas: science, technology, maths, arts, health and physical wellbeing. Incorporating an interactive television to extend on all of the above. We make every effort to visit local primary schools, where the children have the opportunity to see what the classrooms look like and what they might expect when they start school. As children get closer to five, parents will need to arrange school visits with the school of their choice.